Polish vodka and ham are well-known internationally. But it’s bread that became No. 1 on the Polish export list lately. 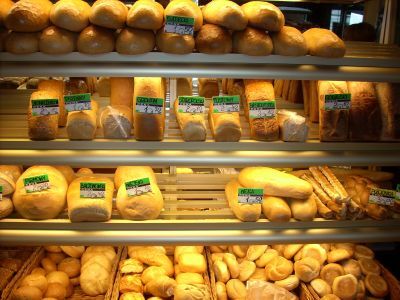 Polish bread and cakes worth more than 400 mln euro were exported abroad in 2006, the National Research Institute of Agricultural and Food Economics reported. In comparison, vodka and other alcoholic drinks brought exporters only 77 mln euro, reported Informacyjna Agencja Radiowa (IAR), a press agency working with Polish Radio. According to the Warsaw-based research center, exports of baked products were about 20 percent higher than in 2005. Germany, Great Britain and Ireland are the main importers of Polish bread because those countries have significant numbers of Polish emigrant workers. Various Polish processed foods have good export opportunities, including pickles, marinated mushrooms and honey. Apart from meat products, Polish vegetable preserves, jams and pierogi could be attractive not only to Poles but to foreign consumers as well.